Wow (no pun intended), this book is great. I bought the book for the visuals and they are amazing. It's a 200-page oversize hardcover visual companion for the game. It's published by DK so you can already roughly expect the level of detail and amount of content they put in this sort of books. This book is about the lore and the characters in the Warcraft fantasy world. The pages are loaded with interesting information of locations, races, and history. There are lots of beautiful artworks included. The book is huge and many are printed satisfying huge. The art and design for the characters are fantastic and they are really painted with detail. Many are actually finalised concept art style paintings, some in-game screenshots, and artworks from other sources. 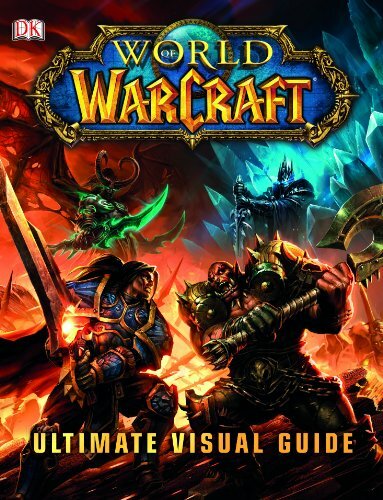 If you're getting the book for just the art, you should get it even if you have The Art of Blizzard Entertainment which already features a lot of WOW art. The art is seriously good here. The not so good part would be the behind-the-scenes section. It's Warcraft, it's so big, but only six pages, excluding the two page photo of Blizz Con, are dedicated to covering the background of how it started to the community it built. Overall, it's a wonderful visual guide for all Warcraft fans, and those who like fantasy art.